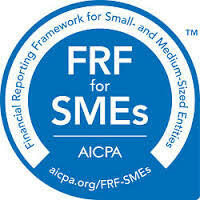 Financial reporting, including preparation of compiled, reviewed and audited financial statements is the backbone of any successful accounting practice. While Moorhead Patterson & Company, PC appreciates the fruits of the tax season, we understand that it is our ongoing relationships with small and medium sized businesses that provide the foundation for everything else we do. Compilations: Our clientele range from retailers to service providers, from non-profits to construction companies, and from sole proprietors to medium-sized corporations. Our ability to provide customized financial statements to a diverse range of businesses is unsurpassed. Each balance sheet and income statement is constructed from the ground up and tailored to fit the unique needs of the business and its management. We routinely provide monthly financial statements which include 4 years of comparative information. At Moorhead Patterson & Company,PC, bookkeeping is not regarded as a necessary evil, but rather an invaluable tool for management. Audits and Reviews: Audits and reviews of financial statements are generally performed at the request of third parties such as creditors, bonding companies, and governmental bodies. The purpose of an audit or review is for the CPA to attest to the accuracy of the financial statements based on evidence gathered. In recent years there has been an explosion in regulations setting forth procedures and documentation required by the CPA to support his or her conclusion. When faced with these new requirements, many CPA firms abandoned their audit practices. Moorhead Patterson & Company, PC has adapted to these changes through extensive continuing education, research and internal review of our audit files. Every third year our records are scrutinized by an outside specialist to ensure compliance in this ever changing field. We believe that an audit or review need not disrupt your business if performed efficiently by experienced personnel. For this reason our audit engagements are performed by only the most experienced members of our staff. Should your firm require an audit or review we would greatly appreciate the opporunity to meet with you.